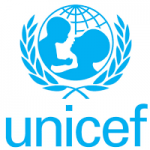 The United Nation’s Children Fund (UNICEF) and the National Orientation Agency (NOA) have urged religious leaders to use their influence to promote healthcare in the country. 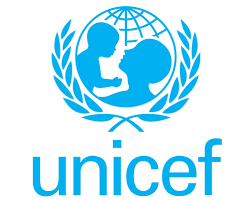 UNICEF state Consultant on Religion, Khalifa Mohammed, gave the charge in Kaduna North at a one-day orientation for religious leaders in Kaduna on Friday. Mohammed noted that religious leaders were highly respected in the society and as such had influence on their followers. “It is your responsibility to guide your followers, use your special position of influence to encourage uptake on ANC, PMTCT and RI,” he said. He said religious leaders were expected to use their Sunday and Friday sermons to preach and encourage men’s involvement in the health care services outlined. Earlier, the state Director of NOA, Zubair Galadima-Soba, said the programme was aimed at enlightening religious leaders on the importance of preaching about healthcare to their followers. He said the rate of childbirth mortality, parent to child transmission of HIV and other maternal associated problems would reduce drastically with the support of religious leaders. Galadima-Soba, therefore, urged the men to support their wives to go for antenatal care as it was the first stage in detecting any pregnancy related problems. “The men must support their wives to ensure they access these three services because without their support the services cannot be achieved. “We urge men to support their wives financially, morally and emotionally before and after child delivery,” he said. Newsmen report that 262 religious leaders from the Muslim and Christian faith were selected for the orientation .Newsmen also report that the orientation exercise was also held at Birnin Gwari, Giwa, Igabi, Ikara, Lere, Kagarko, Kauru, Kubau, Kudan ,Sanga and Zangon Kataf Local Government Areas of Kaduna State.